This spring’s uprisings in communities like Baltimore and Ferguson have forced us to a greater awareness and acknowledgment of the root causes of systemic violence that affects working families each day in America. This is the kind of violence fomented by unemployment, poverty wages, jobs without medical benefits, lack of affordable housing, privatization of public utilities and services like water, hostile union busting and union avoidance campaigns, and organized public and private-sector disinvestment in neighborhoods where most people actually live. In many instances, this is exacerbated by the stain of racism that communities of color face. “The poor and the poorer peoples are accused of violence, yet without equal opportunities the different forms of aggression and conflict will find a fertile terrain for growth and eventually explode. . . . This is not the case simply because inequality provokes a violent reaction from those excluded from the system, but because the socioeconomic system is unjust at its root” (no.59). In offering this way to analyze the origins and power of this kind of systemic violence, Pope Francis reminds us that this violence is a response to the drastic inequality that results from rapid economic globalization and accompanying market forces that want to turn everything into a commodity that can be bought or sold. And this leads to a throwaway culture that threatens the existence of every living thing. So timely are the Pope’s words to people in America! Laudato Si’ and Evangelii Gaudium are fast becoming powerful learning tools for people engaging in community organizing efforts to end the systemic violence that is poverty. In the Curtis Bay neighborhood of Baltimore, Maryland (a tightly-knit residential community surrounded by large industrial properties), Laudato Si’ is being studied by an interfaith, multicultural, and intergenerational group of residents who formed a human rights committee called Free Your Voice with the help of United Workers (a local human rights organization formed by low-wage workers and currently funded by the Catholic Campaign for Human Development). Free Your Voice is working to stop the development of what would become the nation’s largest trash-burning incinerator on land near a community that already suffers extremely high rates of cancer and other pollution-related diseases. As a part of that campaign, a Laudato Si’ study group came together to discuss what it might be saying to us. We have had enough of racism, sexism, pollution, income inequality, union busting, disinvestment, hyper-policing of African-American communities, and all of the violence which mocks and hurts working families. Though spring has turned into a long, hot and especially violent summer, we still have hope. This Labor Day is an opportunity to remember how our families, labor unions, community organizations, and faith communities are places where civic and political love endures and makes itself known in the efforts of people to work together for a better life for all. Fr. 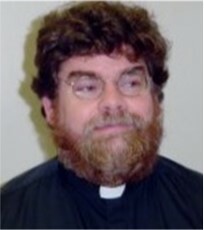 Ty Hullinger is pastor of St. Anthony of Padua, St. Dominic, and Most Precious Blood parishes in Baltimore, Maryland and a member of Interfaith Worker Justice of Maryland and the Priest-Labor Initiative.